Parmigiano Reggiano is one of the most popular cheeses on the planet, with a rich history that spans more than nine centuries. This hard, granular cheese is widely hailed for its unique texture as well as its understated yet brilliantly complex flavor profile. With more than 3.2 million wheels of this cheese being produced every year, Parmigiano Reggiano is often referred to as the “king of cheeses,” and its storied history only adds to its intriguing reputation. So where exactly did Parmigiano Reggiano originate from, and how did it become the culinary powerhouse that it is today? Read on to find out more about this fascinating and perennially popular cheese. 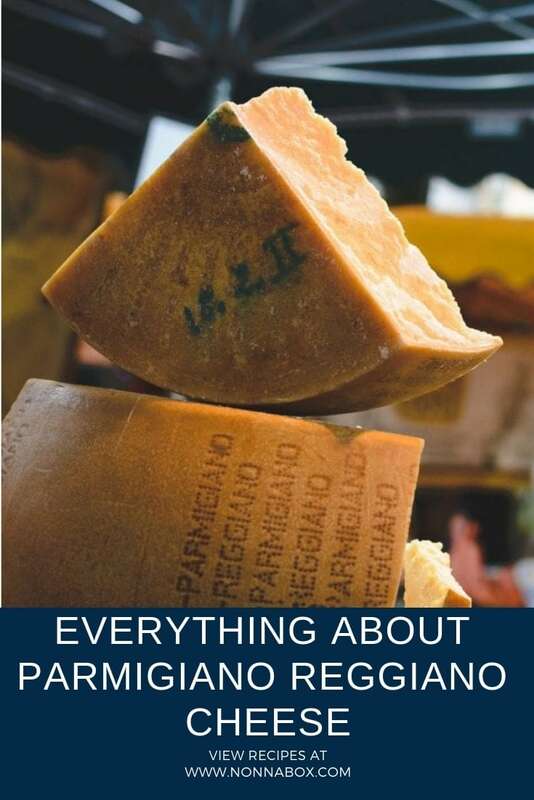 As with many other popular foods in today’s time, Parmigiano Reggiano had humble beginnings, being first produced in the 13th century by farming monastic communities in the Duchy of Parma, an area that lies between the small Italian villages of Parma and Reggio Emilia. Local Benedictine and Cistercian monks began draining large portions of the swampy land that was in abundance in this region, and subsequently built clever irrigation systems to keep the pastures nice and lush. As a result, these small tracts of land became ideal grazing areas for dairy cows, who would produce rich and luxurious milk that was perfect for cheese-making. These farming monks began producing what would eventually come to be known as Parmigiano Reggiano cheese, from a very simple combination of nutrient-rich ingredients: milk, sea salt, and rennet (an enzyme derived from curdled milk). This great-tasting, nutritionally rich cheese began to increase in popularity in other areas of northern Italy, and eventually became one of the main staple foods for sailors and merchants on sea voyages, due to its resilient consistency and easy portability. As early as the 14th century, literary references to Parmigiano Reggiano cheese began to emerge, with one of the most famous being penned by the notable Italian author Giovanni Boccaccio. In his 1348 work “The Decameron,” Boccaccio writes of a “mountain of grated Parmigiano cheese” that he observed in a small area known as the Paese di Bengodi (i.e., “The Village of Good Cheer”). 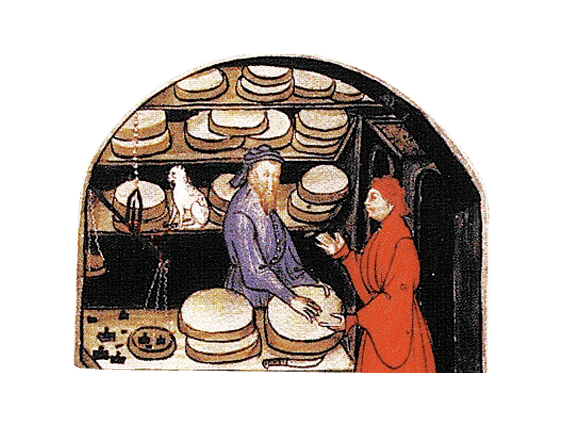 Most scholars and historians agree that since Boccaccio’s audience extended well beyond the borders of Italy, the fact that he offered no explanation as to what the phrase “Parmigiano cheese” meant is a convincing indication that Parmigiano Reggiano was well-known by the time of his writing. The popularity of Parmigiano Reggiano continued to increase over the centuries, and by the time the 18th century rolled around, this ubiquitous cheese even graced Thomas Jefferson’s table. After the evening milking has been finished, the milk is kept in large vats where it rests overnight, during which time the fat from the milk begins to naturally rise to the surface. This fatty substance is used to produce butter, while the skimmed milk is then combined with fermented whey and calf rennet in a large copper cauldron. Now the fun part begins. The milk is cooked over an open fire that has been heated to about 131 degrees Fahrenheit. During this cooking process, the granules of cheese begin to sink to the bottom of the copper cauldron, forming a solid mass of cheese. After about 30 minutes, the mass of cheese is quickly and skillfully removed by the cheese artisan. From there, it is cut into two sections, wrapped in a cloth and placed in a mould that will give the cheese its ultimate shape. Each section of cheese is then given a unique identification number by way of a casein plate. This special designation records the month and year in which the cheese was produced, as well as its registration number. Inscriptions are then dotted around the circumference of the wheel of cheese. The cheese wheels are then laid out on long wooden tables in a “maturation room.” The minimum amount of time that Parmigiano Reggiano cheese is required to mature is 12 months, and even after the 12-month mark, not all cheese wheels will receive the coveted designation of Parmigiano Reggiano. Each cheese wheel is carefully inspected to ensure that it is worthy to bear that highly esteemed name. Due to the immense popularity of Parmigiano Reggiano, cheaper and lesser-quality competitors began springing up in the early 1900s, threatening the livelihood of the dairy farmers who brought this time-honored cheese to the international marketplace. As a result, the Conzorzio del Formaggio Parmigiano-Reggiano (i.e., The Consortium) was formed in 1934 to protect these farmers’ interests. The Consortium has grown to represent over 400 dairies from four adjoining provinces in the general Parma-Reggio region, and it plays an active role in promoting consumer awareness about the distinctiveness of Parmigiano Reggiano cheese. The Consortium has also played a key role in safeguarding the Parmigiano Reggiano name against improper use, eventually scoring legal protection for the famed cheese in 1955 to ensure that only cheeses made from the Parma-Reggio region (and using time-honored traditional methods) could be given the official name of Parmigiano Reggiano. In earlier centuries, the phrase “Parmigiano Reggiano” was used interchangeably with “Parmesan,” but eventually an important distinction was established in 2008, when the European Court of Justice ruled that the word “Parmesan” could not be used as a generic term to include Parmigiano Reggiano. In today’s European Union, PDO (Protected Destination of Origin) laws regulate the region as well as the ingredients used to make authentic Parmigiano Reggiano. 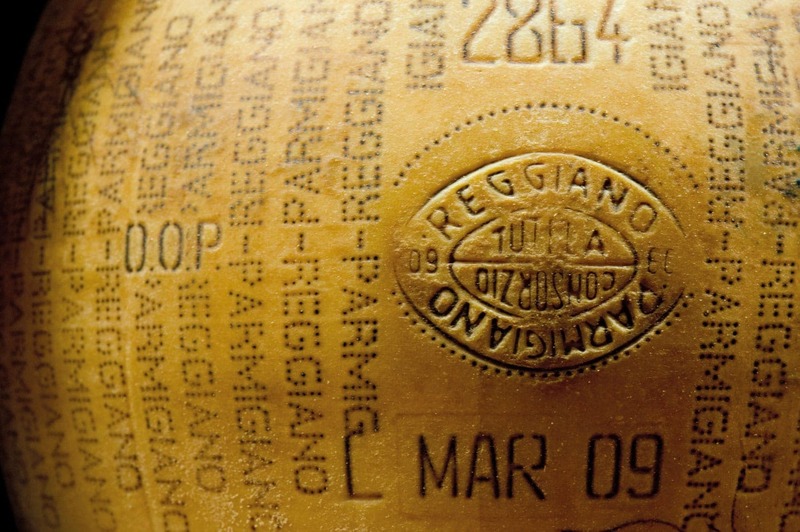 In the United States, however, no regulations exist…which means that if you want to find genuine Parmigiano Reggiano, you’re going to have to look for a cheese that features the famous stamped rind to ensure its authenticity. Indeed, Parmigiano Reggiano is a cheese that is worthy of its distinct name due to its unique attributes, as well as its illustrious history. The next time you decide to add this world-renowned cheese to your grocery cart, you can be assured that its unmistakable flavor and unmatched quality will be a great addition to any dish you decide to create. We used to sell this cheese in our Italian imported food store. There isn’t a better cheese in this world, as far as I’m concerned. I remember my mother, whose store it was, and I needed to ask a man from the north of Italy to help us cut into a new wheel of Parmigiano Reggiano, and his mouth was watering as he helped us get through the golden rind and cut pieces to put in our cases for the customers. When I lived in France, they didn’t have this cheese, but we imported it into the U.S., lucky for us. A masterpiece. I had learned also that not only are the cows that produce the milk that is used to make Parmigiano ReRegiano from a small , specific area of Italy, but also that they are a specific type of cow, and their milk for this can only be collected at a certain time of the year, which I think is about 4 months and may be in the springtime. I’m not sure about that last part of the precise process used to make this wonderful cheese.